1. We wait for the indicator signal in the form of an arrow. 2. When the arrow appears on the chart, open the order. If the arrow is blue, open a buy order, if the arrow is red, open a sell order. 3. Now we wait for the indicator to draw a yellow flag on the chart. This will be a signal to close the order. 4. 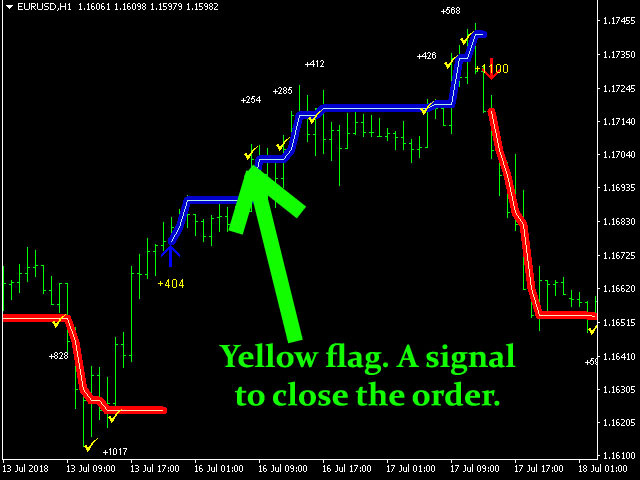 If, after the signal for opening in the form of a sling, the indicator did not draw yellow flags on the chart. In this case, we close the order on the reverse signal. But this situation happens in 18% of the signals, which is not often. This is the ForexGump Professional trading strategy. 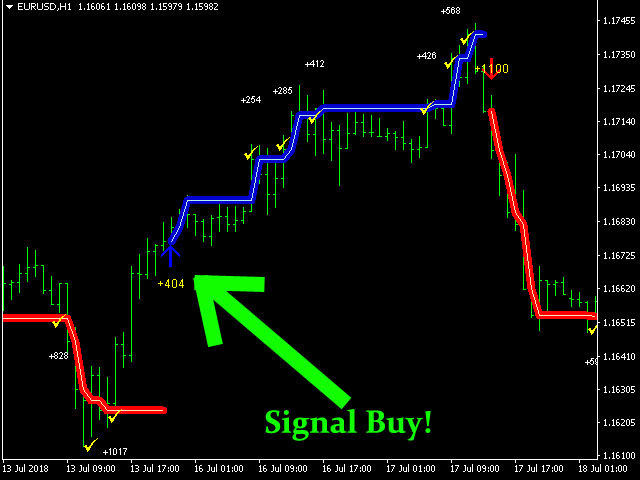 This strategy, depending on the indicator settings, can work absolutely on all currency pairs and almost all timeframes. But we do not recommend trading on the M1 timeframe.